Celebrities and other personalities often dictate what the latest hairstyle trends are for any given year. Sometimes people want to mock the hairstyles they see exactly, while others simply use what they see as inspiration to create their own unique style. And with all the creative options available, this could be the year of the simple hairstyle. 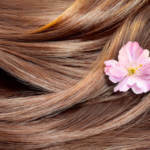 With the popularity of hair extensions continuing to increase, people are open to trying more styling options without significantly altering their natural hair. Here are three hairstyles we expect to become popular this year. Have you seen someone’s hairstyle that looks like they just got out of the shower, yet it looks wonderful? The wet hairstyle is going to be popular this year because it’s easy to achieve. It can be straight or wavy, always looks sleek and doesn’t require a major change to your quality hair care routine. It begins with using the best sulfate free shampoo and then incorporating moisturizing products to make the hair shine throughout the day. Bangs that are center-parted are also called curtain bangs. A hair trend we have been noticing lately is an emphasis on the bangs and trying out different styles. It’s amazing how much a simple alteration to your bangs can transform your entire look. Using the best sulfate free shampoo can make your bangs look healthy and shiny, and center-parting them frames the face to highlight your stunning facial features. The rounded bob could end up being the most popular hairstyle this year. We are seeing more people opt for shorter hair than having long hair, but you can still use hair extensions to pull off the rounded bob. Simply create a deep part to one side and add some texture as desired to the rest of the hair. The idea with this hairstyle is to create a soft and bouncy appearance. Your hairstylist can use different trimming techniques to achieve the result you desire. The experts at RemySoft pay attention to the latest hairstyle trends all the time. We take a lot of inspiration from celebrity hairstylists and try to figure out how the average person can alter their quality hair care routine to create a similar style. 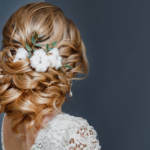 Most of the time it’s surprising to see how simple it is to create an elegant hairstyle, and we all know the simpler it is to create, the better it is overall. Whether you’re looking to make subtle or drastic changes to your hairstyle, we have plenty of ideas to help you depending on your hair type. We are always willing to discuss creative concepts, so contact us at any time.